Home baking has been the latest hit craze for a while. I’m no exception – most of my friends have been force fed my sweet treats at some point or another. My russian fudge making ability even features on my CV (and got me my first job out of university). But there is a big difference between home baking now, and home baking in my grandmothers day. It all comes down to one word; practice. My grandmother would have had a few core recipes which she used over and over again. Mastering then modifying each one. But me and the rest of Gen Y have a more scatter-gun effect, we want to make all the things. So although Gen Y makes a huge variation of tasty treats, sometimes our results can be unpredicted. Which is why I am so very glad that companies are starting to make cheating so easy. My latest discovery is Sainsburys crusty bread mix for less than 70p. 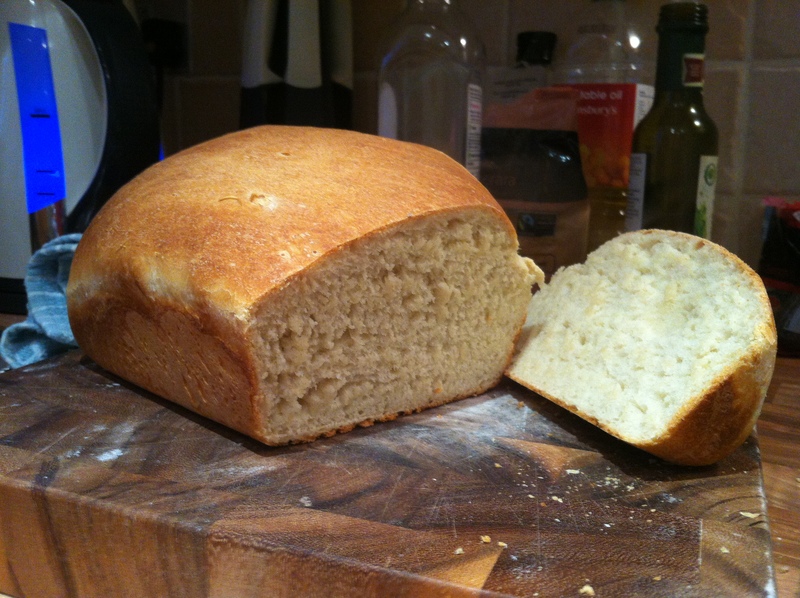 Its not full of E numbers and the like, in fact, all that is in it is wheat flour, sugar, salt and yeast. I know some of you will be rolling your eyes, because I could have combined those myself. My defence: most baking muck ups occur through the almost infinite variations that can be made – seriously there are over 3million results for ‘basic bread recipe’. So I went ahead and made the glorious crusty bread. It had all the good feeling of home baking, but with an almost guaranteed result. 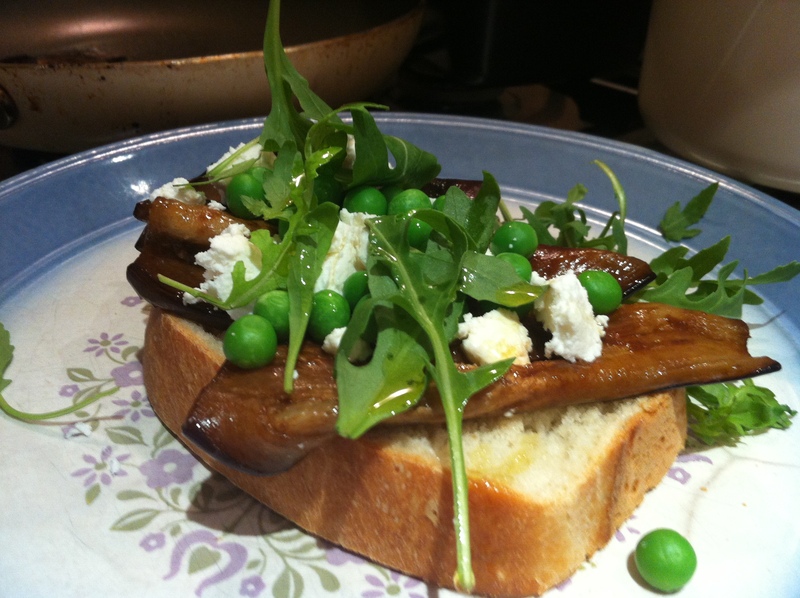 Check it out below, I had it with marinated eggplant, peas, goats cheese and rocket. Yum.